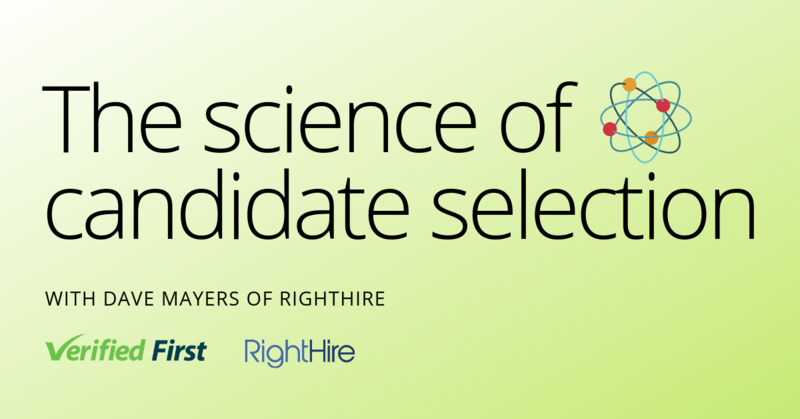 ​To mitigate risk, pre-employment screening has become a ubiquitous part of the hiring process. It’s estimated that today, nine out of 10 companies conduct background screening. However, many companies fail to develop a background check policy that complies with Equal Employment Opportunity Commission (EEOC) laws and other legal requirements. To avoid possible lawsuits, it’s vital for companies to understand how to craft an effective background screening policy. 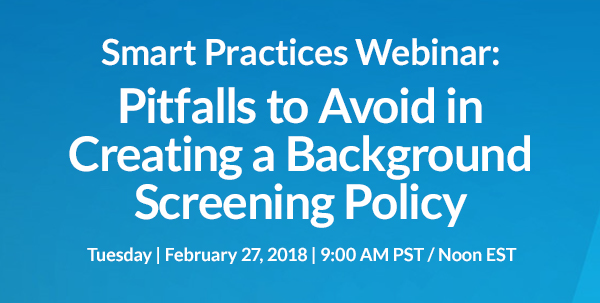 That’s why Verified First is pleased to partner with SmartSearch for the webinar, “Avoiding Pitfalls in Creating a Background Screening Policy” on Tuesday, February 27, 2018 at 10 am MST. ​The webinar is free to attend, but seating is limited. 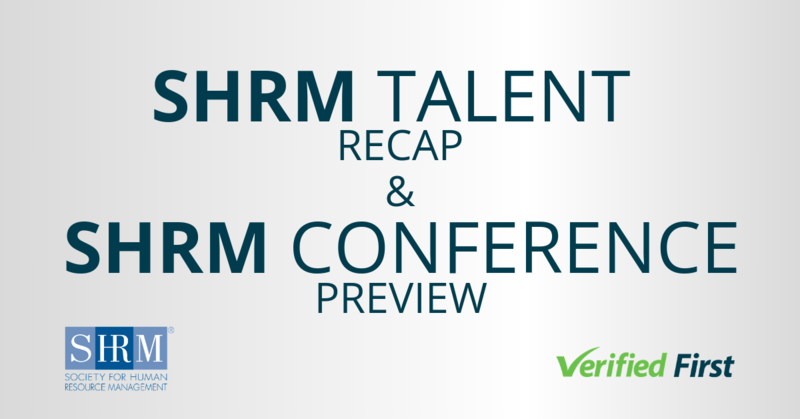 Register today to lock down your opportunity to learn from our experienced presenters, Ian Bellais, Director of Business Development and Sharon Haley, Regional Account Manager from Verified First. They will explain the core concepts of a well-designed background check and how to stay within EEOC compliance. They’ll also discuss best practices in the changing legal landscape for background checks.